ANN ARBOR, MI - Nearly four years after the so-called "Haditha Massacre," an investigation conducted by over 65 NCIS agents (Naval Criminal Investigative Service) - the largest investigation in that agency's history - with the expenditure of millions of taxpayer dollars, and prosecution losses at every stage of the criminal process, the government has decided to give up on the criminal prosecution againstMarine LtCol Jeffrey Chessani. Nonetheless, the battle for this loyal Marine officer continues. Richard Thompson, President and Chief Counsel of the Thomas More Law Center, reacted, "The government's persecution of this loyal Marine officer continues because he refused to throw his men under the bus to appease some anti-war politicians and press, and the Iraqi government. Any punishment of LtCol Chessani handed down by a Board of Inquiry would be a miscarriage of justice because he did nothing wrong, and our lawyers will mount the same vigorous defense in this administrative proceeding as they did in the criminal." A Board of Inquiry is an administrative board where the rule of evidence does not apply. Evidence that would likely be thrown out in a criminal proceeding may be considered by the Board, which will be comprised of three senior officers—in the case against LtCol Chessani, most likely Colonels and/or Generals. The government's burden of proof is lessened. Rather than having to prove its case beyond a reasonable doubt, the government only has to prove "misconduct" by a preponderance of evidence. 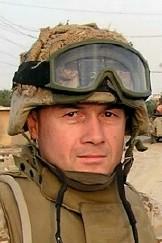 If the Board finds "misconduct, " then they will further determine if LtCol Chessani should be forced to retire or not. If the Board determines LtCol Chessani should retire, then the Board must also determine if he should retire as a Lieutenant Colonel, or as a Major—a decision that could cost this Marine and his family hundreds of thousands of dollars in pay and benefits. The Law Center, a national public interest law firm based in Ann Arbor, Michigan, has been defending LtCol Chessani at no charge. The Law Center's attorneys, Robert Muise and Brian Rooney, are both former Marine officers. Detailed military attorneys LtCol Jon Shelburne, USMC, and Capt Jeffrey King, USMC, have also represented LtCol Chessani throughout the criminal process. The dismissed criminal charges against LtCol Chessani were triggered by a fierce house-to-house, room-by-room combat action taken by four Marines in his battalion after being ambushed by insurgents in Haditha, Iraq on November 19, 2005. Along with several insurgents, 15 civilians also died in this day long fight. The civilian casualties were tragic, but not uncommon in Iraq where insurgents would use them as shields. The "misconduct" allegations against LtCol Chessani are based on the following: failing to properly report and investigate the November 19, 2005 incident. However, the indisputable evidence shows that LtCol Chessani immediately reported the deaths of the 15 civilian Iraqis to his superiors. And not one of his superiors hearing of the civilian deaths - including top generals - considered it unusual. Not one ordered a further investigation. Instead, they commended him for a job well done. In fact, LtCol Chessani's immediate superior told him that no investigation was needed because it was a bona fide combat action—which was consistent with the orders in effect at the time: no investigation of civilian deaths related to combat action. That order was changed in April, 2006, well after the Haditha incident. LtCol Chessani's commanding general, Major General Huck, reported up the chain of command, "I support our account and do not see the necessity for further investigation." This same commanding General was allowed to retire without going to a Board of Inquiry, and he was allowed to retire as a Major General. Consequently, not one of LtCol Chessani's superiors faced nor will they ever face a court-martial or a Board of Inquiry for their actions in relation to November 19, 2005. "Marines are renowned for their courage and their willingness to follow their commanders into battle against all odds. Their commanders, on the other hand, owe justice to these brave men and women who face death for them. That obligation requires commanders to defend their troops when politicians attempt to make them political scapegoats, " said Thompson. Of the eight Marines initially charged in the incident, six Marines, including Chessani, had charges dismissed and one was acquitted. Only one Marine still faces criminal charges. LtCol Chessani was considered one of America's most effective combat officers. He was on his third combat tour in Iraq when the Haditha incident occurred. The Thomas More Law Center asks every American concerned about the future of the military services and our country to help in the fight to defend Marine Corps officer,Lieutenant Colonel Jeffrey Chessani. You can do this by mailing a donation to the Law Center at 24 Frank Lloyd Wright Drive, P.O. Box 364, Ann Arbor MI 48106, or by simply visiting our website (www.thomasmore.org) and donating to the LtCol Chessani Defense Fund. Our continued defense of LtCol Chessani, without charge, has cost the Law Center over a million dollars. With our vigorous defense of LtCol Chessani continuing at the Board of Inquiry, your donations and prayers are essential to seeing the end of the government's pursuit of this good man through to the end. The Thomas More Law Center defends and promotes America's Christian heritage and moral values, including the religious freedom of Christians, time-honored family values, and the sanctity of human life. It supports a strong national defense and an independent and sovereign United States of America. The Law Center accomplishes its mission through litigation, education, and related activities. It does not charge for its services. The Law Center is supported by contributions from individuals, corporations and foundations, and is recognized by the IRS as a section 501(c)(3) organization. You may reach the Thomas More Law Center at (734) 827-2001 or visit our website atwww.thomasmore.org.